This Madonna video also features a cribbed image from a well-known film but it is not as renowned as her borrowing liberally from Metropolis for “Express Yourself.” This video for “Oh Father” borrows images from Citizen Kane. Kudos to the Comet Over Hollywood for spotting it and inspiring this month-long focus on Madonna’s videos. Citizen Kane (1941) was named the greatest film of all time by the American Film Institute in 1998. But prior to this, Madonna used themes from the Orson Welles film in her 1989 music video “Oh Father,” according to writer E. Ann Kaplan. The whole video is shot in black and white. 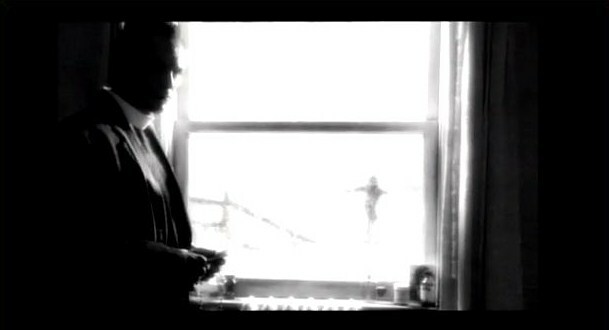 At the beginning of the music video, a priest is looking out the window, watching a little girl spin and play in the snow. Inside, the little girl’s father is lying over her mother as she dies. Madonna’s video was modeled after his scene of Agnes Morehead as Mary Kane watching young Charles Foster Kane playing outside. 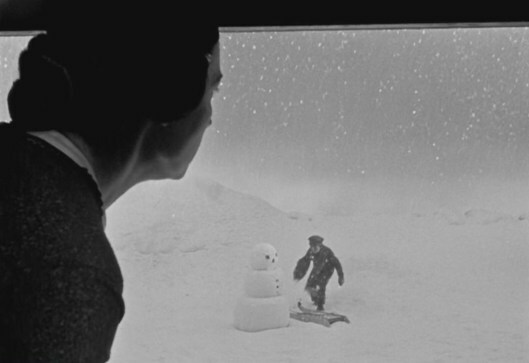 The scene is similar to young Charles Foster Kane playing in the snow as his parents are inside, preparing to send him away with guardian to be raised in luxury. When Kane is taken away from his parents, he acts rebellious and is expelled from several universities. The song and video were Madonna’s attempt to accept her mother’s death and her father remarrying. “I had to deal with the loss of my mother and then had to deal with the guilt of her being gone and then I had to deal with the loss of my father when he married my stepmother. So I was just one angry abandoned girl. I’m still angry,” she is quoted as saying in a 2002 biography “Madonna: An Intimate Biography” by Randy Taraborelli. Kane allusions aside it’s a fairly haunting video that I could scarcely watch when I was younger. On a musical note, there are perhaps no two more disparate back-tp-back tracks in her discography than this followed by “Dear Jessie” on Like a Prayer.